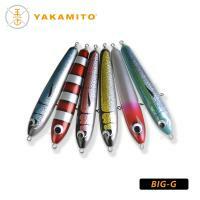 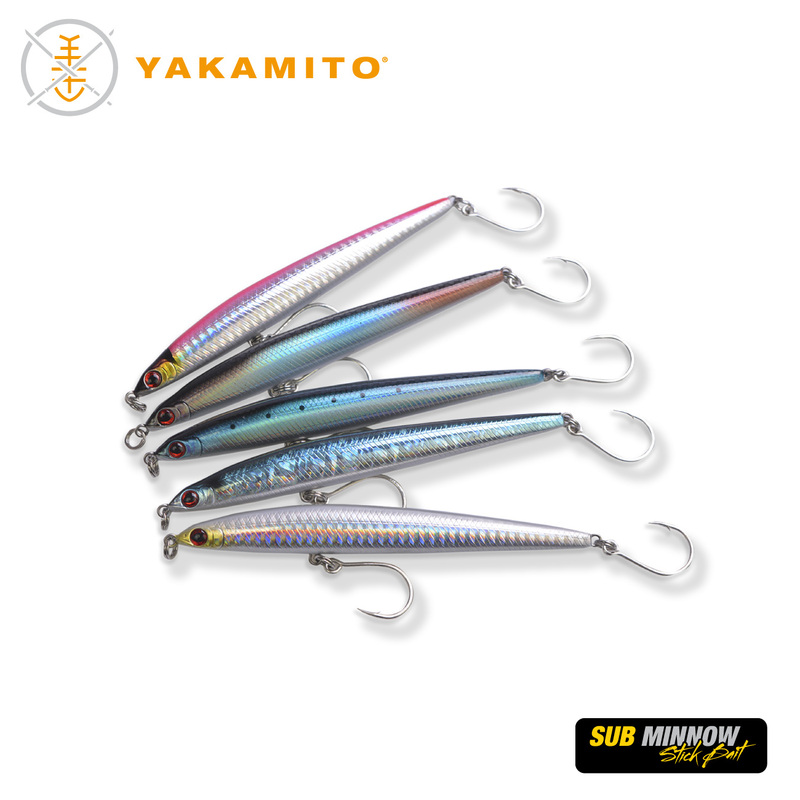 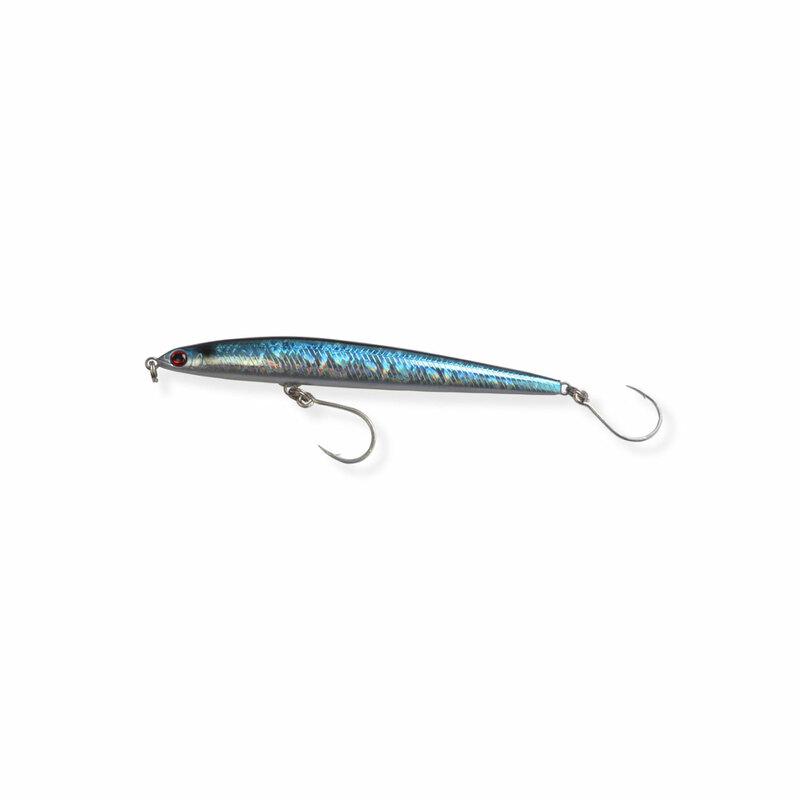 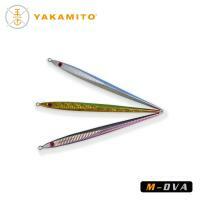 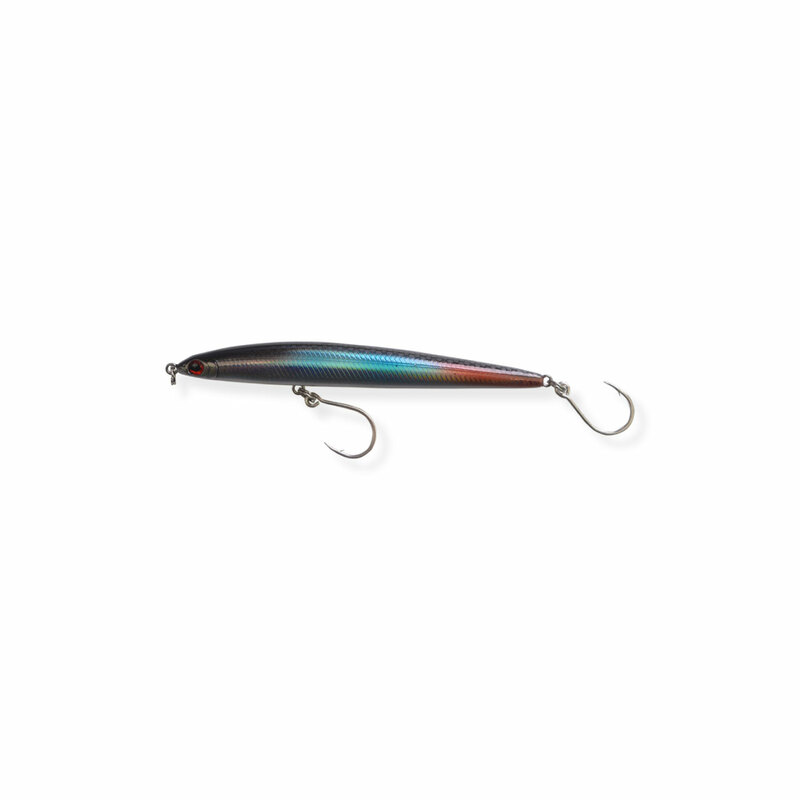 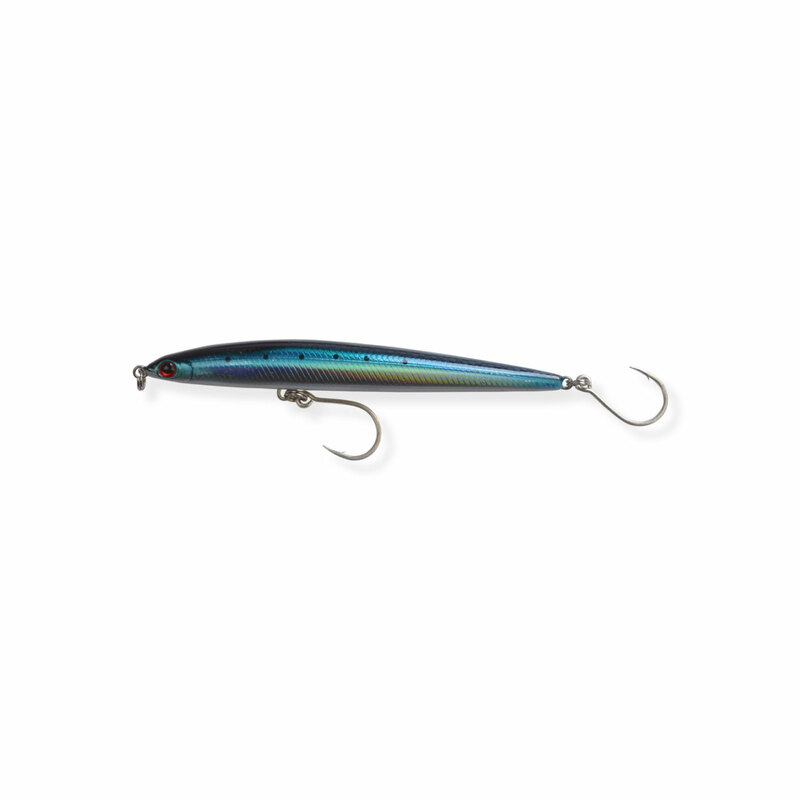 The Yakamito Slim Minnow is a 125mm stick bait used for casting to pelagics. 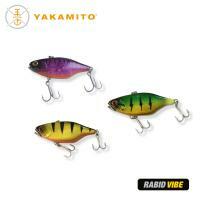 Weighing 21g, it can be cast long distances and retrieved at great speed, twitched or left to sink on the pause. 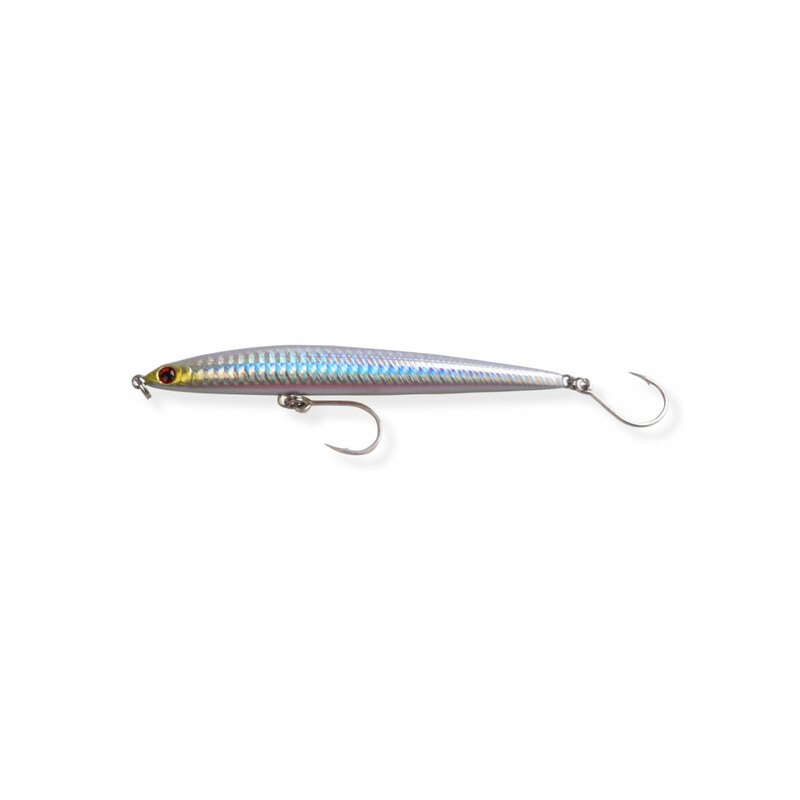 A slow retrieve will see the Slim Minnow swim just under the surface imitating a wounded bait fish. 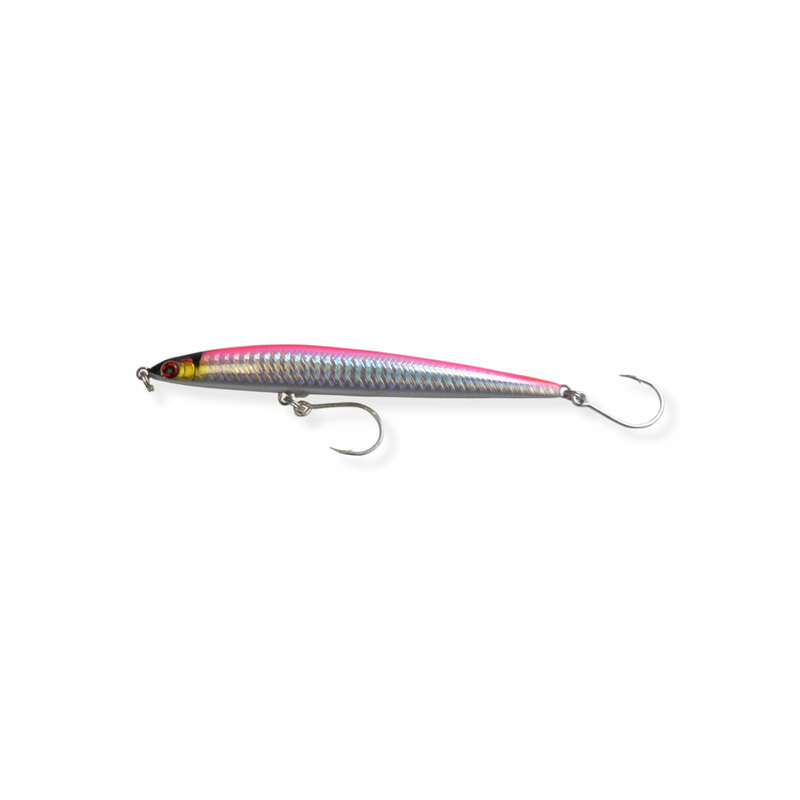 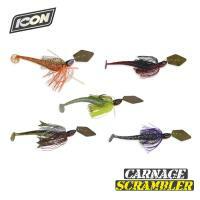 Salmon, Tailor, queenfish, tuna, trevally and many more cant resist this tuned up stick bait.